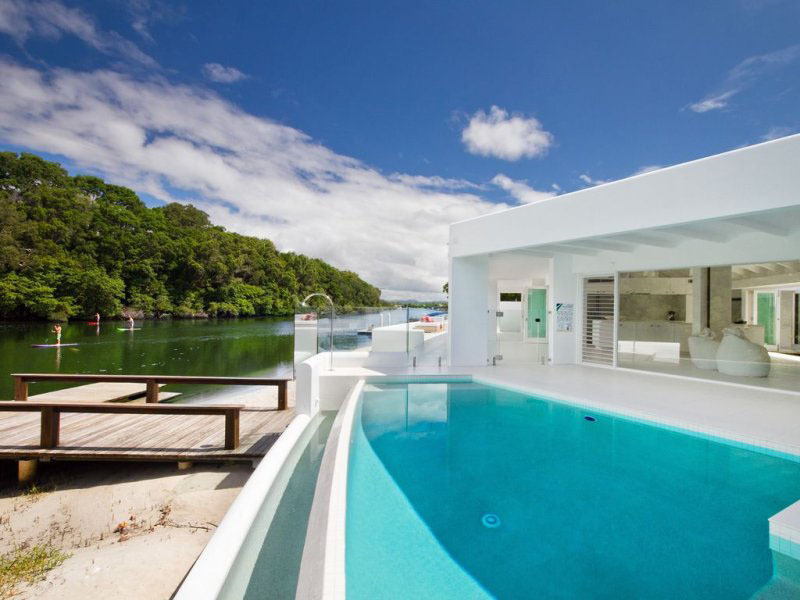 Set on prime river frontage in Noosa Sound, Queensland, on the Gold Coast of Australia, this first class modern home was inspired by Ralph Lauren’s Caribbean holiday home. The white clean lines and expansive living areas allow cool breeze to flow through the house. Every room has access to the outside living areas. The open plan home design with high end appliances and luxurious fittings provide the ultimate modern living in a casual sunny setting. This family home in Sweden has a very calm and tranquil white background throughout. The interior design features cheerful colours that highlight the white canvas. 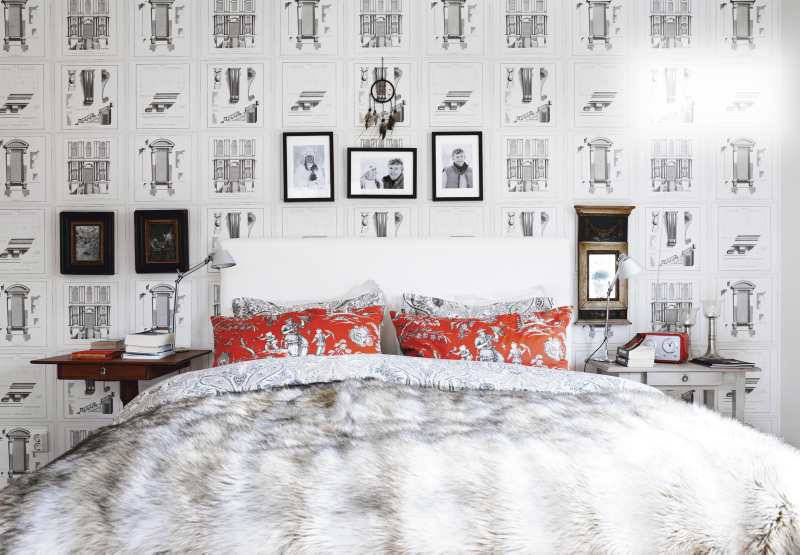 The eclectic mix of decorative accessories such as wallpaper from Ralph Lauren, shelves from IKEA, paper lamp by Tord Boontje and a host of other items provide each room with interesting accents.